You are here: Home / Church Talk / Are you Pastor OF a Church or TO a Community? Are you Pastor OF a Church or TO a Community? Changing just a few words in the way clergy see themselves can transform their ministry and mission to their communities. This interaction changed my life and ministry. Today, one of the ways how Rev. Brad lives out this transformative moment is by serving the community first. 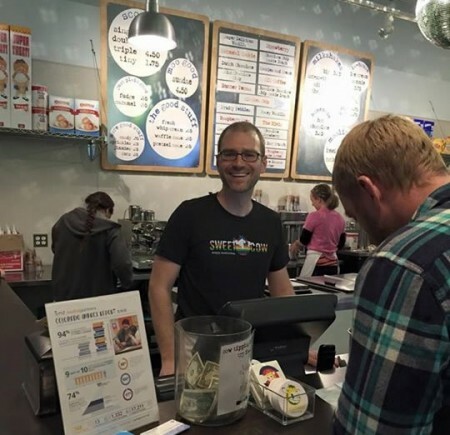 Recently, Brad volunteered to scoop ice cream at a neighborhood ice creamery (which I’ve been to–it is yummy!). The few hours brought summer levels of business in January as his church and community partners stopped by for ice cream. 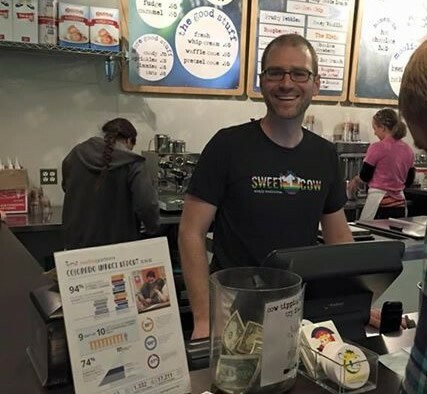 The creamery contributed 10% of those sales to support not Brad’s church, but rather a local tutoring program. The publicity yielded several new tutors for the program…along with several families who also asked about the church. Since Christendom, [the] institutional church more or less dictated the form of the neighbor­­hood. The church that is emerging in the parish today is different in many ways. The first difference is that the neighbor­hood—in all its diversity—has a voice that contributes to the form of the church. There is a growing sense that the Spirit works through the relationships of the neighborhood to teach us what love and faithfulness look like in that particular context. By reframing their existence as outward instead of inward, and how wisdom and forms come from outside their walls, churches that embrace this simple change of phrase will experience transformation. The new parish is also different in the way diverse church expressions with different names and practices are learning to live out their faith together as the unified church in and among the neighborhood. Whereas the old parish was often dictated by a single denominational outlook that functioned as law, the new parish can include many expressions of the church living in community together in the neighborhood. Not only do parishioners learn to love and listen to neighbors from other church expressions in the parish, they also seek out partnerships with people from other faith perspectives who have common hopes for the neighborhood. Within a denomination as big as the United Methodist Church, it would seem that churches are assigned “their area” and fellow churches better respect their assigned regions and not do active ministry there without permission. Congregations have already started their first project: working in the food ministry. The six churches host four food banks, Pitney reported. By working together to serve the food pantries, overall service will increase. Salem-Keizer also is coordinating on pastoral care and developing an area-wide youth ministry. By seeing themselves not in competition (even within a single denomination), these churches are modeling what the New Parish might look like for them. I’m inspired by Brad’s teacher from seminary to introduce myself the same way: “I am a Methodist Pastor to the people of Portland, Oregon.” It brings with it a wider sense and scope to what my ministry responsibilities really are. And by emphasizing that shared identity, local churches better understand they don’t have “their” pastor, but share that pastor with a community to which all are called to serve. In what ways is your pastor (or you) actively serving the community even when the local church has no tangible benefit? In what ways has your community shaped your local church’s mission and outreach in ways you never would have expected? Thanks for reading, for shares on social media, and for living out your call to ministry in your community! I hope the Eucharist is also celebrated among and between the varrying members of the parish. It is at the heart of our community as Christians. It’s what binds us together, nourishes us, and commissions us outward. I love this. Our church is struggling with this right now. Our Sr. Minister has a strong heart to serve the community. The problem is that some, perhaps many in the congregation are much more concerned about serving those within the aging walls of the congregation. I recently read a letter by a veteran church member who complained that the Sr Minister was doing too much outside of our walls and ignoring our own. While there is a balance, the priority is clear to me. Get involved in something bigger than oneself. That goes for individuals and churches. I basically agree with everything you’re saying, but I wish you had taken it a little deeper and addressed the tension that exists between those two roles and the degree to which they require completely different skill sets. We’re still using models of leadership formation and accountability that are more consistent with treating clergy as pastors OF a church. 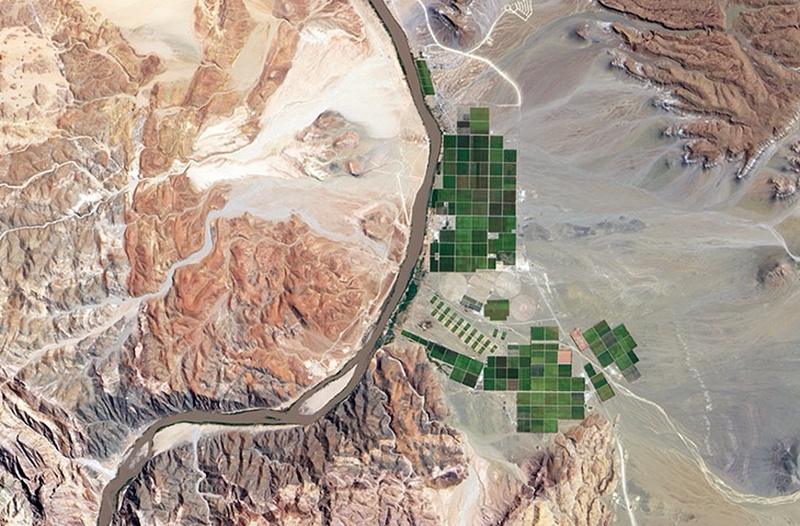 Our metrics, our evaluation tools, etc. are all stuck in the attractional model we claim to be trying to leave behind. I also wish we’d be more honest about the human side of the transition that is underway. We’ve spend several generations promoting and equipping leaders for a model in which the pastor is the leader OF a church. That is the unspoken “bargain” that participants in these congregations had with their pastors – that is the “deal” they agreed to. Now we’re asking many of these wonderful, faithful, folks to agree to a completely different arrangement, and too often berating them as being “stuck” when they don’t fall in line. I love this!!! I just recently took on the pastoral role of a small town in Hampton IA, and have been working really hard to start the process of redefining, not only my role, but the role of our Church within our community. I’ve already started working very closely with our Chamber of Commerce to identify ways in which we can serve the community and change people’s perceptions. Love the book “The Parish”, I would recommend that book, as well as “Slow Church” to any and everyone who would take the time to ponder anew the role and place of the Church alongside the community it serves. This raises many questions. First, in a largely secular/Jewish community, I can’t imagine anyone responding, “oh goody, the Methodist minister we were hoping for!” When did they get a vote about who was going to minister “to” them? Second, when someone goes to seminary and spends all that time (and denominational money) studying scripture and pastoral care — is that not because we’d collectively decided that’s what we needed? I thought the minister was there to equip and encourage the people to do ministry–which might include ice cream scooping — no ministerial degree required. I don’t doubt that the minister might be involved in the community, might even do a little scooping, but if I wonder why our laity are so poorly formed, this might give me an answer. Wasn’t a longtime argument against this understanding of ministry the idea that we ought not professionalize “care of our neighbor,” so that it is the job of the clergy, rather than the ministry of the whole church? I wonder what is more important to the person with any concern or issue, what your title represents and says about who you are affiliated with? Did Christ have credentials and a cross around his neck to identify his purpose? As a laity mission person my first duty is to care, support, work, treat or assist those who ask for my efforts. I had a recent comment with my rector, who mentioned he was my rector and friend? One is fomal and strictly by appointment. My friend came to me because I requested him, like the centurion in the scripture story, (MK 8), he goes where he is ordered, comes when he is summoned.